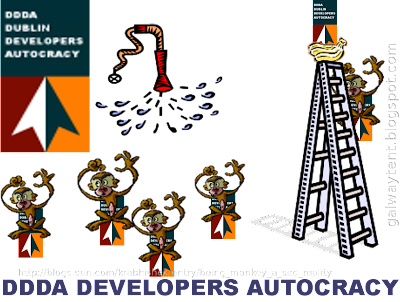 It's long been suspected that Chimpanzees have been recruited by Anglo Irish Bank as their in-house Directors in their Developers Autocracy (DDDA). 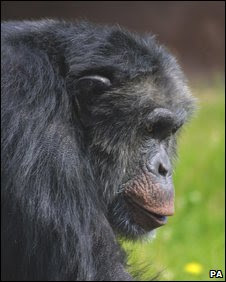 Scientists say a chimpanzee has demonstrated an ability to plan for future events. What exactly did the chimp do? Why are people with vested interests in property/building past or present being appointed to this DDDA thing. Could they not get someone from Intel/MNC or the voluntary sector to sit on it? Why are people with vested interests in property/building past or present being appointed to this DDDA thing.